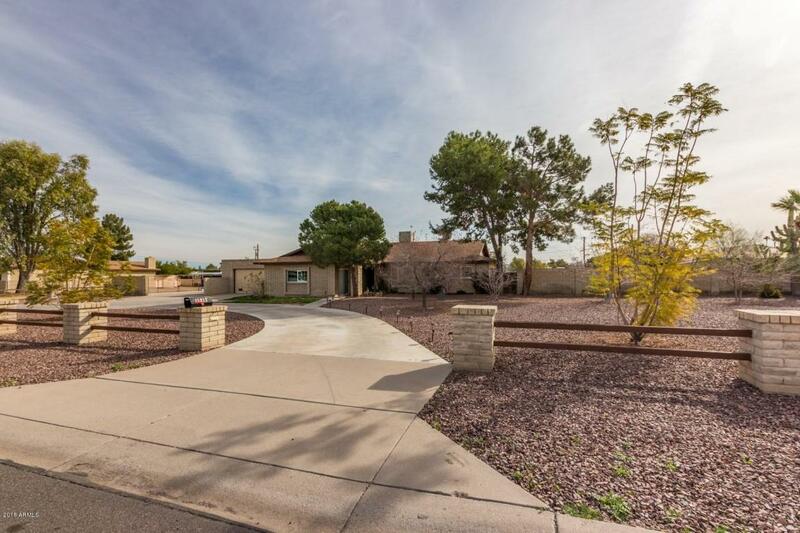 Outstanding curb appeal Home & Horse Property nestled on over an acre of land. Circular driveway, gorgeous landscape, and Majestic Mountain Views. 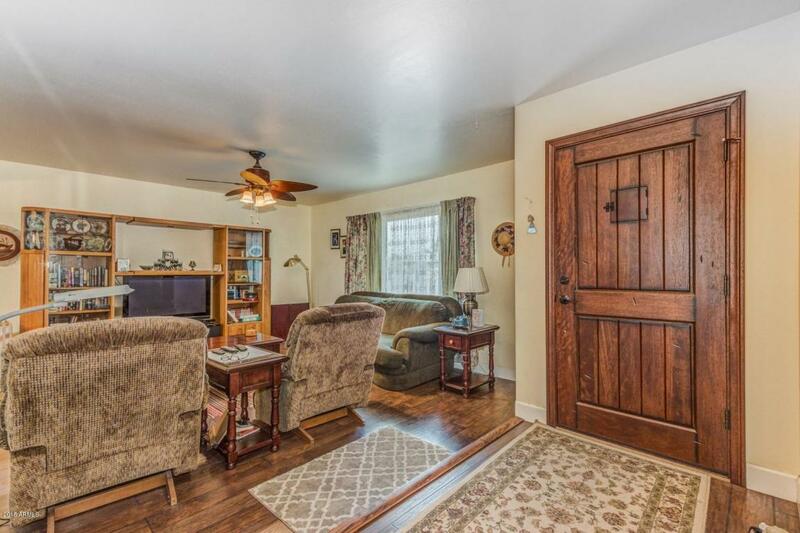 Beautiful flooring, soothing palette, ceiling fans, and plush carpet in all the right places. French doors to patio from family rm. Fam Rm open to kitchen & dinette. Spacious kitchen features breakfast bar, stylish counters, white appliances, and wood cabinets with hardware. Perfect Home for entertaining. County records show 3431sf. Main house is 1800+sf, 3bdrm 2ba. There are 2 studios (500sf ea) w/ba, separate A/Cs & separate entrances. Bonus workshop/storage/1cg, separate office/storage & 2cg. 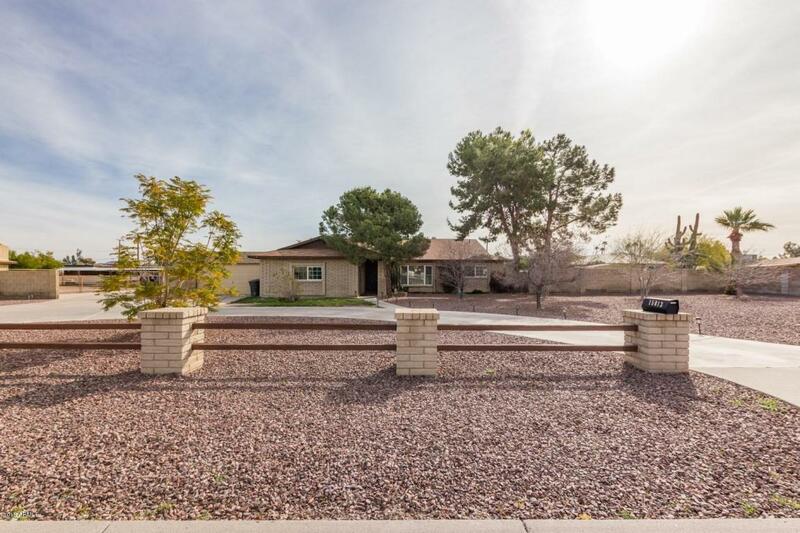 Huge property with covered patio, garden area, corral, and so much more. This well-loved Home will NOT last!